Revisit explores the American landscape as metaphor for identity, purpose, societal struggles, and cultural values. The black & white photographs are reproduced gelatin silver prints printed by the Library of Congress. The color and contemporary photographs are digital c-prints and have all been created in the last 5 years. 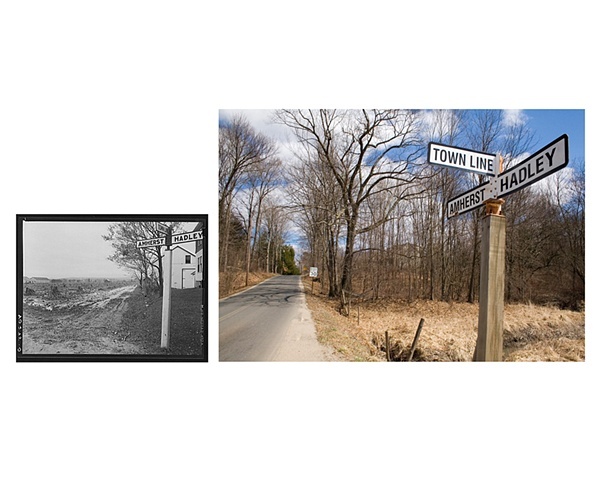 Revisit focuses on the re-photography of selected sites originally visited by the Farm Security Administration (FSA) photographers of the 1930s and 1940s. I have examined the photographs taken at various locations all over the country and have questioned how time has altered these places and wondered if these images are still accurate representations. Previously unpublished images have been selected from the FSA archive and thoroughly researched to identify their original locations. I visited these sites and re-photographed them based on my personal interpretation of the location. Many of the images I constructed held true to their original site and frame, though this was not a criteria. I used the FSA photographs as a way to guide me and not restrict my photographs or my experience. The landscape not only informs us on the social and economic climate of an area, but it can also directly affect the destiny of the people who live among it. This photographic exploration enables the viewer to have a historical perspective, which will hopefully facilitate a well-rounded consideration for our landscape of today.